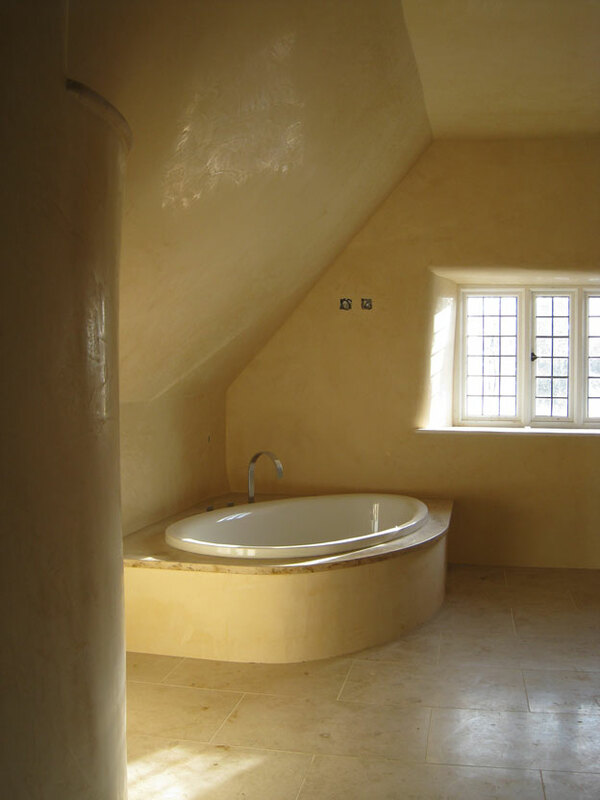 This polished plaster beautifully accentuates the curves of this traditional cottage bathroom, adding a greater sense of space and supplementing the source of natural light with its natural lustre. 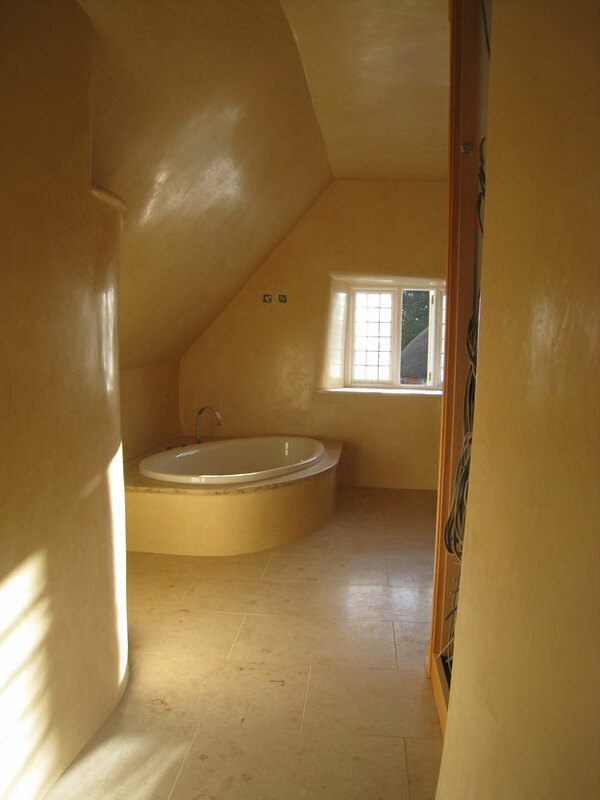 Venetian plaster is a pre-tinted paste of lime putty with approximately 45% fine marble flour that dries to a glassy smoothness with incredible depth. The overall effect is a stunning replication of pure marble that’s superb for use in bathrooms. We import our Venetian plaster from Italy.